A dreamlike structure about a suspicious suitcase travelling from the City of London into a small French village finally ending up in the green meadows of Scotland. The video FRAGMENTS & PATTERNS is a cinematographic experiment to explain a story only visually - without verbal communication. In this way the video is [necessarily] related to silent movies. The complexity of the possibilities to mediate content only with pictures is astonishing. Creating an open cinematographic structure which offers the recipient freedom in the legibility was an important task. The story is still working, although there are gaps and breaks concisely built into the narrative. The edit as an direct relation to imagination could be described as an open dimension of the untold between the scenes. 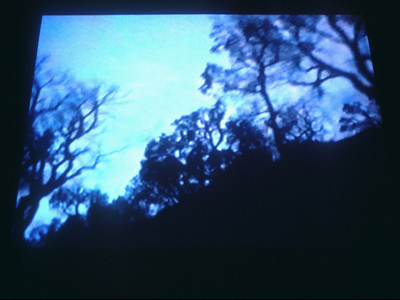 The video work could be characterized between narrative and non-narrative. The open structure expresses a critical consideration of perception processes. The expectations of the recipient to find an total conclusion get irritated. The modification of speed is necessary to interrupt the realism of the video picture.